Cocksox Birthday Sale Ends Today! Cocksox is celebrating their 8th birthday with a fantastic sale, and it all ends today! Thongs, briefs, boxers, long johns, swimwear, active-wear, all up to 40% off until midnight July 28. To all our awesome customers who’ve supported us over these 8 years we hope you had a chance to celebrate too. Without the constant support, feedback and encouragement from all of you we wouldn’t be here today creating the sexiest and most comfortable underwear and swimwear on the planet! So grab yourself a bargain before it’s too late. And if you haven't tried the new CSX range from Cocksox, now is a great time to do so! I personally love them! For the first time ever iconic jockstrap maker Bike has come out with a limited edition "Throwback Edition" jock, which is a remake of the classic white Bike #10 model 7110. The jockstrap is all white with thin Red and Black tracer stripes in the 3" waistband. The packaging includes a vintage throwback edition label reminiscent of the original Bike labels from the late 1800s and early 1900s. Limited quantities are available from our friends at Jockstraps.com, only 6000 total were produced. If you are a jockstrap aficionado (who isn't? ), this is the ultimate piece for your collection! 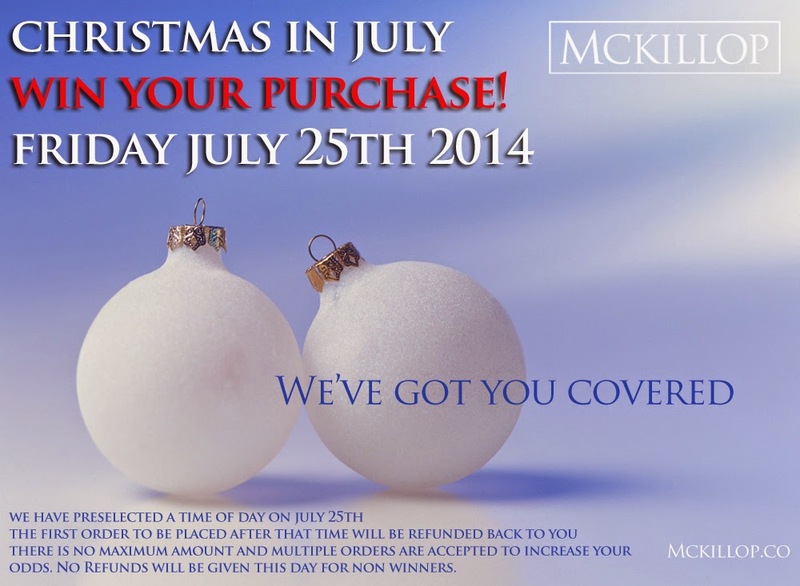 Starting first thing today/tomorrow at 12:01 am (July 25, 2014), Mckillop is starting a very special deal that they're calling "Christmas in July". This deal is super cool and super special - three lucky customers will get their entire package (no max value) for free, just like Christmas! Here's the deal, Mckillop has pre-selected a time during the day at random, the first three orders after that time will be free! All you have to do is go place an order. This is such a fun promo, worst case scenario you end up with some awesome new undies that you paid for. The wonderful guys at Big Boys Pants have a great deal going on right now. They're offering 33% off their current multipack sale offer. So that's 5 pairs of underwear (your choice of style) for a fraction of the cost. 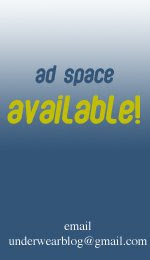 The multipack offers will save you an average of $30, that's a great deal! Go check it out now. 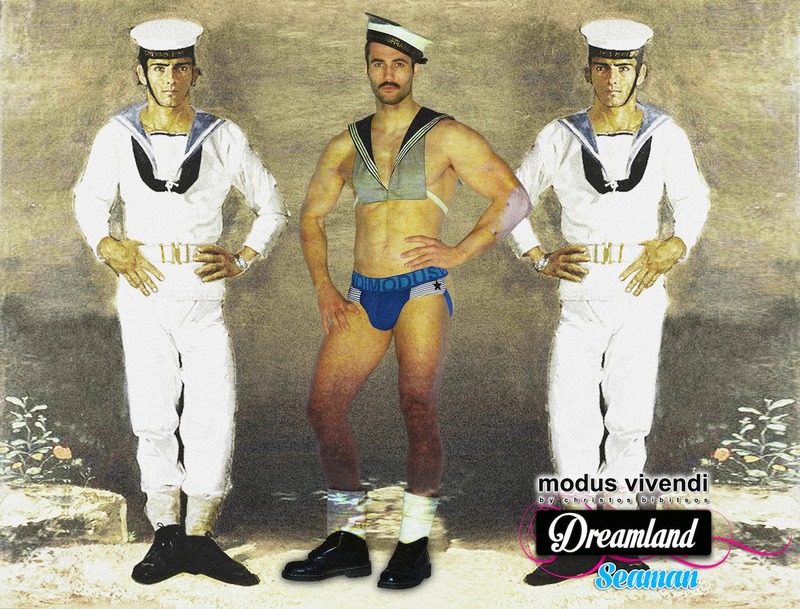 Modus Vivendi continues the Dreamland series of campaigns for its Summer 2014 collection and this time is taking you to a world of sailors with its Seaman Line. The background images into which the models blend are reproductions of paintings by Yannis Tsarouchis (1910-1989), who is one of the most highly regarded modern Greek painters. His extensive depiction of soldiers, sailors and other men, often curiously described as “vulnerable”, was controversial and some of his exhibits were taken down by censors. It was Tsarouchis who introduced the iconic sailor motive into modern Greek theater. From the content of his images we can also deduce that he was deeply interested in fabrics and clothing and, at one point, he even tried his hand at weaving. This brand new line comprises evocative sailor-themed underwear, t-shirts, longsleeves and sleeveless tees. With references to sailor’s stripes, a range of luxury fabrics and a highly distinctive look these new clothes make a strong statement and offer supreme comfort. I'm really enjoying the play between reality and fantasy with this imagery; it's so evocative. Enjoy the eye candy but be sure to also check out the collection at Modus Vivendi's site. Back by popular demand, International Jock’s Made in America Sale offers ooh-and-aah-inspiring discounts on all American-made brands. While only 2% of all garments sold here are made in America, International Jock has always made it a point to seek out and support U.S. manufacturers. Their 25% off sale includes top-of-the-line, all-American brands like Pistol Pete, Timoteo, Go Softwear, N2N, Sauvage Swimwear and LA Sporting Club. And, when you purchase clothing made in the States you're helping the national economy, our local garment industries and saving thousands of Americans jobs. So celebrate Independence Day with a bang by shopping International Jock’s patriotic collection of American brands at jaw-dropping prices during their annual Made in America Sale. Patriotic Pants from Vuthy Sim! Vuthy Sim (pronounced Vooh-Tee Sim) has released its “Old Glory” swim suit line in thong, bikini and square cut ranges as part of its rollout of new designs for 2014. The brand also plans soon to expand its "Old Glory" line to include briefs, boxers and board shorts to cover the full gamut of tastes in silhouettes. The handsome American flag print has proven to be exceptionally popular with buyers, and I can see why. I'm loving this print as it's not your typical American flag print, but is much more refine and stylish. Inspired by the American flag, “Old Glory” ranges allow you to show off your July 4th pride each day at the beach or poolside. In patriotic red, white and blue colors, you can’t be guaranteed a salute, but most likely attention and a few compliments. An elastic waistband eliminates the need for a messy drawstring. The front pouch provides comfort and fit to hold and accentuate a man’s natural assets. As always, you get Vuthy Sim's unequaled attention to fit, design and quality of workmanship. Get them today on Vuthy's Etsy shop.